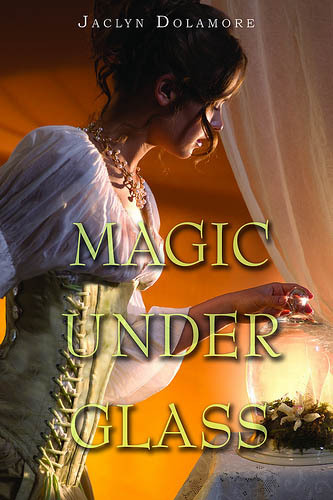 Magic Under Glass blends elements of fantasy, steampunk, and the gothic novel: orphan girl swept into a high social milieu, mysterious and romantic sorcerer, hidden wife, enchanted clockwork automaton, missing fairy prince. Dolamore melds all of these into a cohesive, intriguing, but oddly spare whole. 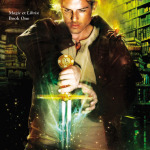 I reread Magic Under Glass this week, in anticipation of reading the sequel (Magic Under Stone.) 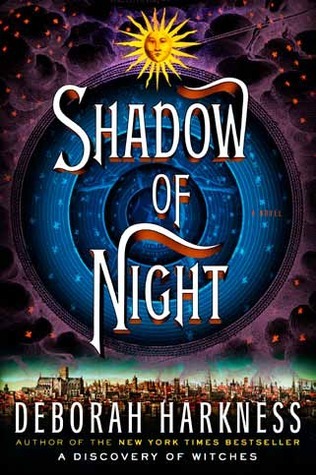 If anything, I liked it more the second time around, but I still feel as though it’s the bones of a really great book. I’m hoping Magic Under Stone puts a little more meat on those bones. Lark, I have a question to ask you, and you don’t have any contact info on your blog. Could you please send me an email? — KittlingBooks (at) gmail (dot) com — Thanks!